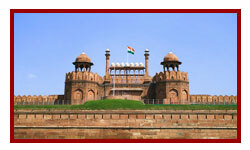 Online luxury cultural tours to delhi agra jaipur, historical city delhi agra jaipur luxury trip, package vacations delhi agra jaipur luxury, luxury tours delhi agra jaipur, trip delhi agra jaipur luxury destinations, luxury northern india golden triangle taj mahal trip, luxury heritage holiday trip delhi agra jaipur and also offers online luxury package tour bookings to delhi agra jaipur. Overnight stay will be at your Hotel. Full day visit of Delhi. Exploring the fascinating character of a capital from the 6th century temple complex with a rust free Iron Pillar and the Qutab Minar - tallest structure of the 11th century to the ultra modern chrome and glass skyscrapers, and from imperial India's Parliament House and the president's House (formerly Viceroy's residence during the Raj) to the never ending bustle of the walled city surrounding Jama Mosque, Red Fort, Akshardham Temple. Also visit Humayun's Tomb - the only monument ever built by a lady in the memory of her beloved husband. Overnight Stay will be at Delhi. Drive to Agra (203 kms / 4 hrs) via Yamuna expressway & en-route visit Vrindavan & Mathura ( Famous pilgrimage places of Lord Krishna's - visit various famous temple like Banke Bihari & Isckon temple in Vrindavan & pilgrimage attractions in Mathura ) later en-route visit Sikandra - the beautiful tomp of the Mughal Emperor Akbar. In the afternoon check in at already booked hotel of your choice near to Monument of love The Taj mahal for uninterrupted views. Morning visit Taj Mahal - the immortal poem in White marble, it is the finest expression of undying love ( It is highly recommended to visit Taj mahal during sunrise, sunset & day time each time colour of this monument is different & ideal time for photgraphy ). Continue visit of the red fort - a masterpiece of design and construction, housing a number of exquisite buildings including the Musamman Burji, where Emperor Shah Jahan had Spent his time looking at Taj Mahal his beloved queens tomb and died in imprisonment. Drive to Jaipur (232 kms / 5 hrs.) via Fathepur Sikri - the first planned city in Indo- Islamic architecture built in late 16th century by Emperor Akbar. Upon arrival at Jaipur check in at the hotel. Rest of the day is at leisure. 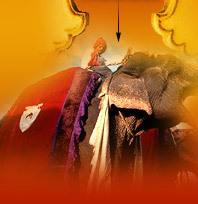 After breakfast in hotel haie a cab for sightseeing of Amber fort, riding elephants up the ramparts to the palace. 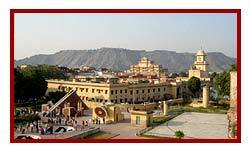 Later continue on to Jaipur City to visit the City Place, Museum, The Observatory and Hawa Mahal - the Palace of Winds. After an early breakfast drive to Delhi (252 kms / 5 hrs) or you have option to catch early morning train ( Double decker ) from Jaipur railway station to Delhi. Upon arrival tour guide will pick you from railway station. Rest of the day is free for last minute shopping & leisure activities. Evening transfer to international airport to connect flight for onward destinations. Copyright © Golden Triangle Tours, India. All Rights Reserved.